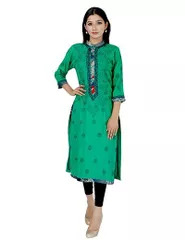 Elegant georgette kurti in aqua green. Bedecked with gorgeous chikankari work in matching thread. 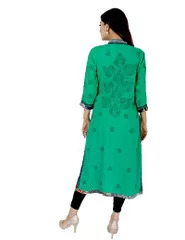 Neckline and borders beautified with floral piping. 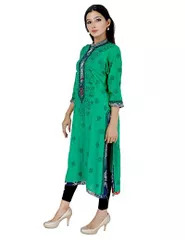 This pretty kurti is accentuated with chana patti and murri work all over the panel.